I am excited to share the quilt I made with Jacquie's Favorites bundle of Painter's Palette Solids from Paint Brush Studio. This post corresponds to a giveaway this weekend over on my Instagram account, so head over if you'd like to enter for a chance to win a kit. This was my first time working with Painter's Palette fabrics. 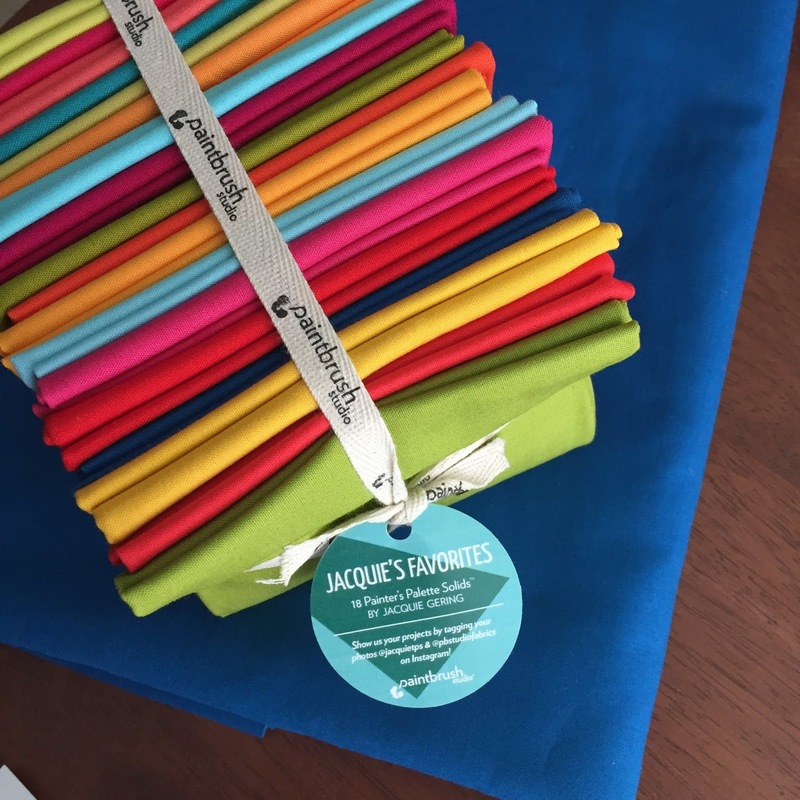 These solids are so soft without being thin. 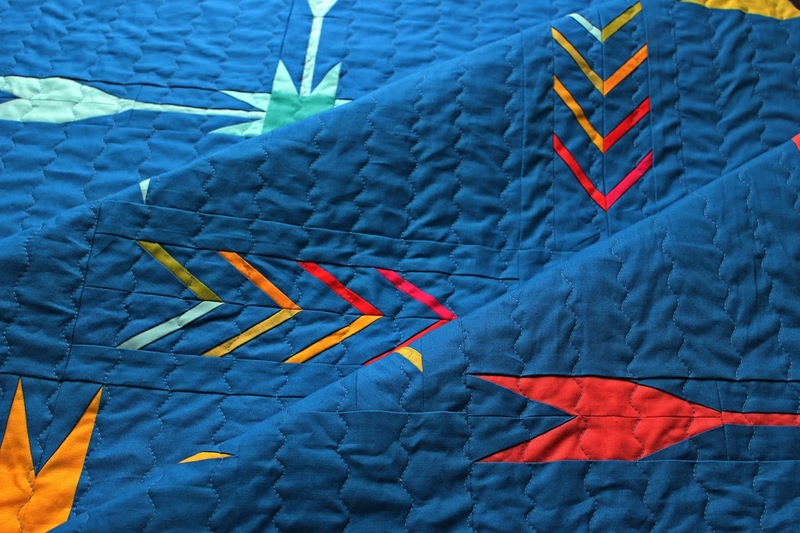 The weight is just perfect for quilting. Some of you may recognize this throw quilt as my Ketchikan Quilt pattern. Isn't it cheerful in this rainbow of colors? 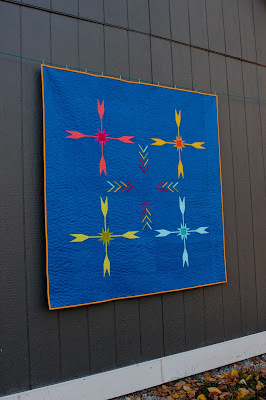 I used just a few blocks from the pattern and arranged them in a new way to make a smaller version of the quilt. I chose the darkest blue from the bundle as my background. It is called Marine. 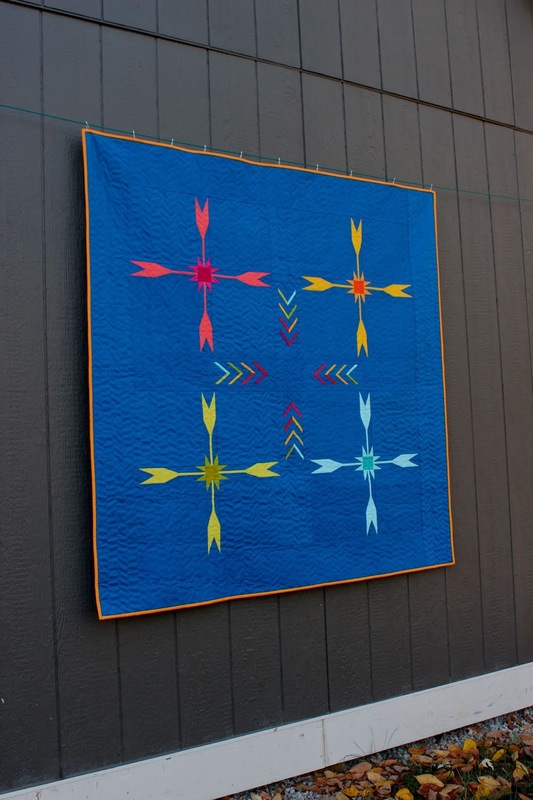 Jacquie Gering designed and made this modern Whirlygig quilt with her bundle. 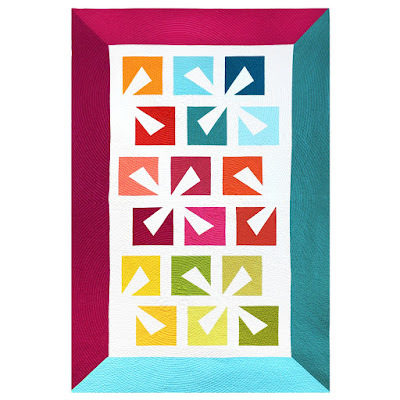 A free pattern can be found for it on Painter Brush Studio's website. 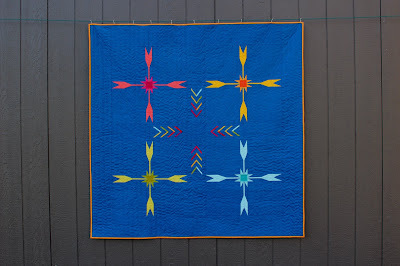 The giveaway for the Whirlygig quilt kit is open until Sunday evening, so be sure to enter in time or stop by Teresa's instagram page next Friday for another chance to win a kit. 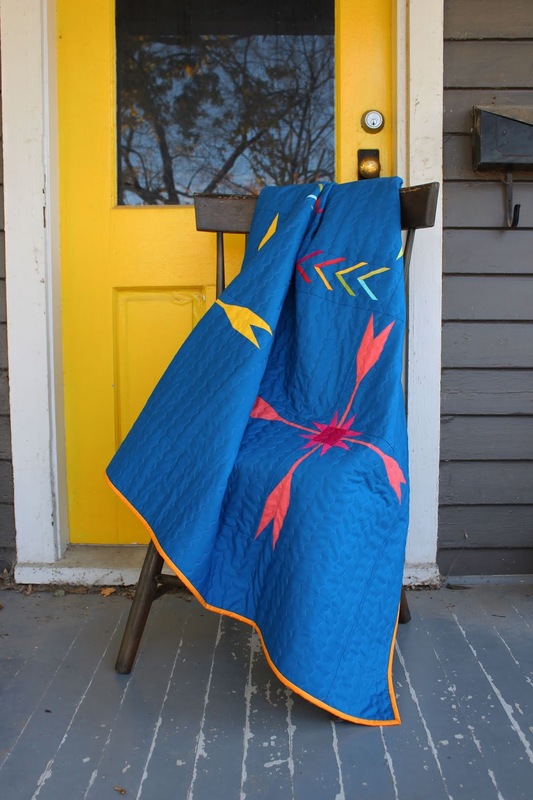 This is a lovely quilt. right click open in another page. 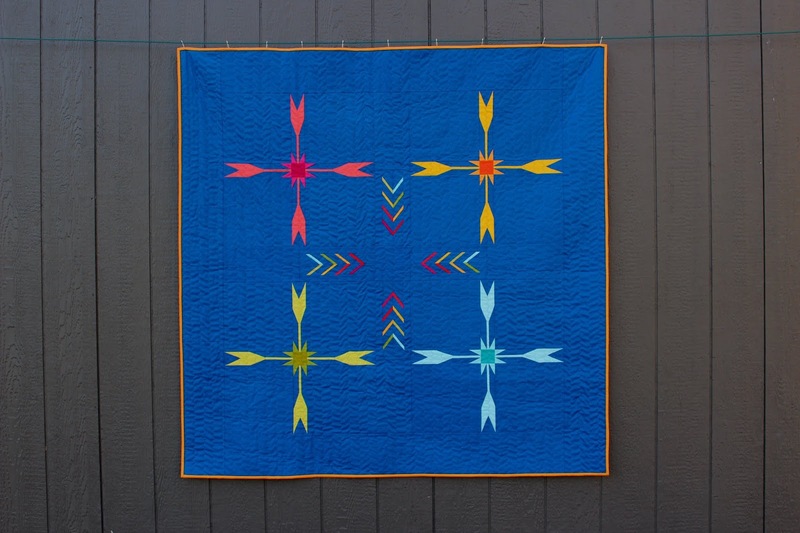 I love the intense colors of this quilt and the unique design. I hope this is where I register to enter the giveaway. 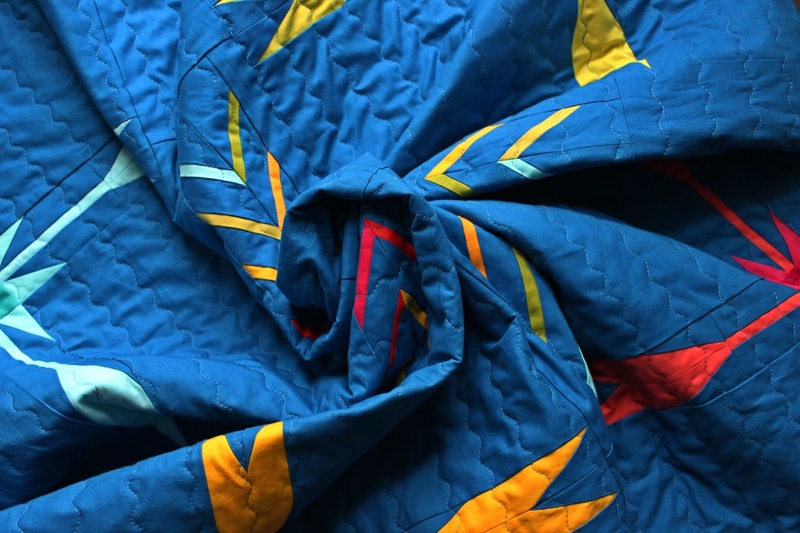 It’s gorgeous, showcasing both your pattern and the fabrics perfectly! I’ll have to look for these solids. I switched from Kona to Free Spirit, but Free Spirit solids are so difficult to find in the brick and mortar stores.